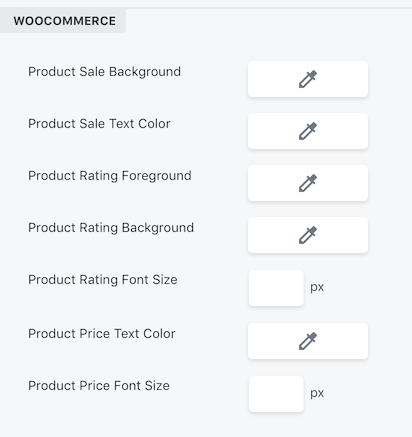 The Products module is in the WooCommerce modules category, which appears in the Content menu when you're editing an Archive-type Themer layout in Beaver Themer and you have the WooCommerce plugin installed. The Products modules is a "shortcut" module. It's actually a Posts module with settings to display products, which you can then tweak to customize further. 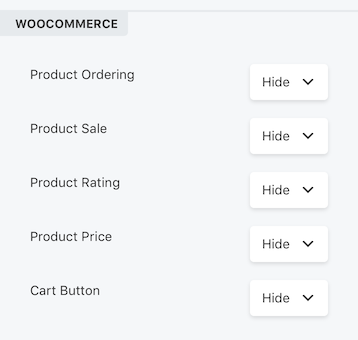 On the Layout tab, there's a special WooCommerce section that lets you choose whether to show or hide particular product features, as shown in the following screenshot. The Style tab also has a special WooCommerce section with special style settings, as shown in this screenshot. On the Content tab, if you leave the query set to Main query, the products displayed will be the default products for the particular type of archive page you're viewing. For example, if you had product categories called pants and jackets, the archive page for the pants category would display all products in the category of pants, whereas the archive page for the jackets category would display all products in the category of jackets. On the other hand, if you choose Custom query for the query type, you can change how products are ordered, or in the Filters section you can include or exclude particular products, product categories, or product tags. To specify which products, categories, or tags, start typing the name, and the autocomplete will let you select the one you want. Note: If you use a custom query, you will get the same products displayed on every type of archive page. For example, suppose you exclude the product category of hoodies in your custom query filter. If your Themer layout applies to product category archive pages, you'll get a listing of every product except hoodies, even on the Hoodies category archive page. In other words, the products no longer depend on the type of archive page they appear in, they only depend on the custom query in the Themer layout. This means that in most cases, a custom query will only work well when the Themer layout applies to one particular page. For example, you might want to exclude a few specific hoodies from the Hoodies product archive page, so you could create a Themer archive layout that applies only to the Hoodies product category archive, then use a custom query with a filter that excludes the particular hoodies you don't want to display.